Perhaps you do not own Duplication and Printing equipment, and all you need is a quantity of CD's or DVD's to be duplicated and printed? We can help you out, send us an email and tell us what you require. When you need professional CD & DVDs fast, DiscSpeed will provide the FINISHED TOUCH to your CD & DVDs, with full colour printed booklets, inserts and disks. Quick, compact and kind to the environment, compact discs are a clean, cost-effective way to communicate with your clients and stakeholders, be it annual reports, marketing plans, or your latest product brochure. What is disc duplication? Is it right for you? You don't always need a thousand discs. Sometimes you just need a few for the road. And maybe you need them really quickly. Our short run CD DVD Duplication & printing, is an affordable solution for fast disc manufacturing of small quantities, recommended for as few as 1 to as many as a few hundred. Using a recordable disc, we will "burn" your content directly onto our "A"-Grade CD and DVD media — not all that different from "burning" a disc at home — and it's all done in-house. Share your documents, photos and video on CD or DVD. Want to make a lasting impression with an important client? Leave behind an electronic copy of your presentation on disc. You can do it all using the high storage capacity, convenience and portability of CDs or DVDs. You can even personalize each CD or DVD with surface printing of full-color custom images, logos, your company or your customer’s name. Now it’s easier than ever to secure your most important digital files. For business or personal use, it’s never been easier to secure all your documents, video, music and photos. Distribute important presentations, proposals, PDF files and reports to multiple customers in a meeting, or across the country, with our CD and DVD duplication capabilities. We can archive your most important files on a single, convenient disc and make as many copies as you need. We can make high-quality copies of digital home video, sales materials, product demonstrations, special events and other video applications. Want to present your original material on a CD with custom labeling and graphics? No problem. We can put together your selected songs and images for special events like company picnics, fund raisers, sales rallies, weddings, anniversaries, graduations and more, and send them out to employees, friends and family. Now you can create CD photo albums of your favorite selections, or store all of your photos on disc for safekeeping so you never have to worry about losing your favorite shots. 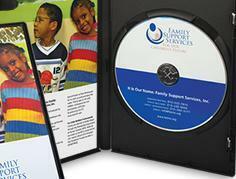 Attractive, affordable, professional CD and DVD surface printing. Conventional adhesive CD labels will eventually crack, peel and discolor. 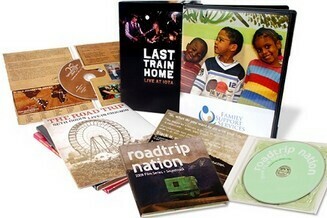 With our thermal ribbon print technology, custom images and text are printed permanently onto every CD or DVD. Your full-color photos, artwork and text will always stay sharp and vibrant, because they’re directly printed onto the surface of the CD or DVD. USB Data loading can be a time consuming process and most often your PRO or Marketing department would want to have "branded" USB media – this is where DiscSpeed can help. Do not try and do this in-house by using the USB ports of your entire department PC's, it is not worth the hazzle. We offer you full a USB copy service with quick turn-around times. With the ability to copy just a hand full of USB flash drives or a few thousand, DiscSpeed can handle the job. In addition, if you want your data to be "copy protected", we have the Software and we have the "Copy Protect" USB media to do this for you. We do not specialise in"gimmicky" USB media, because that is excactly what it is. If you want to distribute your software or product information, in a professional and reliable manner, then we can assist you. We only use tried and tested Transcend media. or we can screen print your details onto the Transcend USB media. In addition, if your data is of a sensitive nature, or whether you want to protect your intellectual property, we can provide you with secure USB media, that will make your files available as "read" only. Any "copying" or "printing" of your files will not be possible, and it will not be possible to delete your "data" partition from the USB device.